Dharmendra Pradhan said that the government has set a target of providing gas connections to 80.0 lakh household by the end of December 2018. 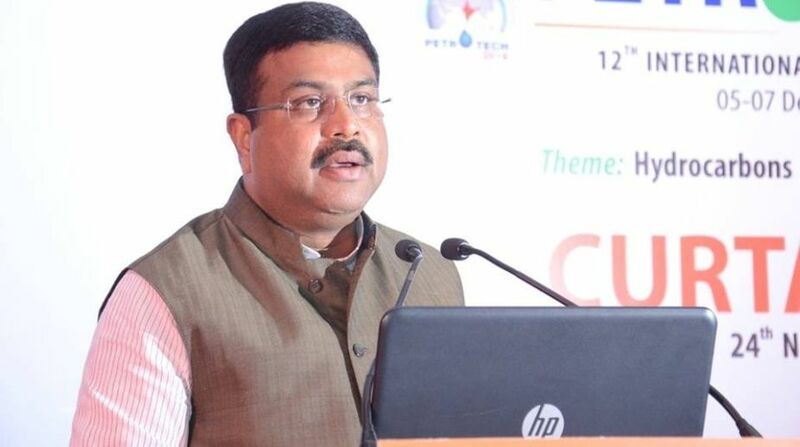 Union Minister Dharmednra Pradhan has said that LPG penetration in Odisha has reached 58.55 per cent by 1st May 2018, which was at 20 per cent level in June 2014. Speaking at the Pradhan Mantri LPG Panchayat at Mangalajodi in Odisha, Pradhan said that the government has set a target of providing gas connections to 80.0 lakh household by the end of December 2018. Pradhan added that 24.23 lakh connections have been released under Prime Minister Ujjwala Yojna and 1000 new LPG distributors will be added to the list in the last two years which shows the enhanced LPG penetration in the state. LPG Panchayats are being observed to promote learning through peer group interaction – Kuch Seekhein, Kuch Sikhayein, where apart from experience sharing, it also aims at safe and sustained usage of LPG.